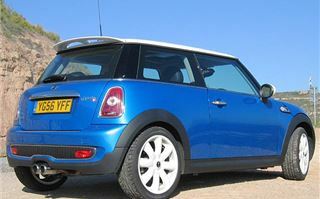 In developing the 2nd generation R56 Mini Cooper S, has BMW taken the fun out of the MINI? First reports from “first drives” a month ago tended to end with that conclusion. And seemed to be worrying MINI Project Leader Horst Radibojevic as he cross-examined us after our own first drive. Second and third in BMW’s list of ‘What’s the same’ about the new MINI are “the kart-like handling” and “the wheel-at-each-corner control”. And from our experience that patently was not true. The thing about the original Mini, Mini Cooper and Mini Cooper S on their tiny 10” wheels was that they did feel exactly like go-karts. The steering wheel connected you directly to the road with no sponge pudding in between. It informed you exactly what each wheel was doing and fed every ripple, pebble and grain of sand to your hands. At lower speeds you could change direction so alarmingly quickly that your passenger wasn’t firmly strapped down she could land on your lap. 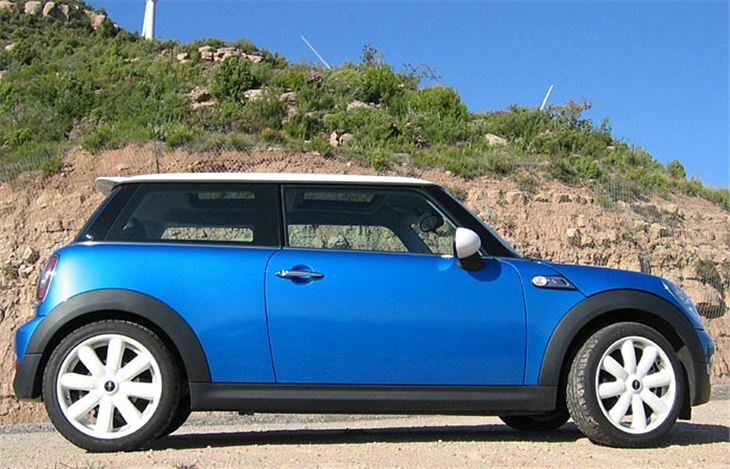 Despite 15”, 16” and 17” wheels, BMW managed to hang onto the fun factor with its rejuvenated MINI. A fully loaded supercharged MINI Cooper S convertible on 17” wheels could sometimes feel exactly like an original MINI 1275S. But the new MINI Cooper S turbo we had been driving just didn’t. 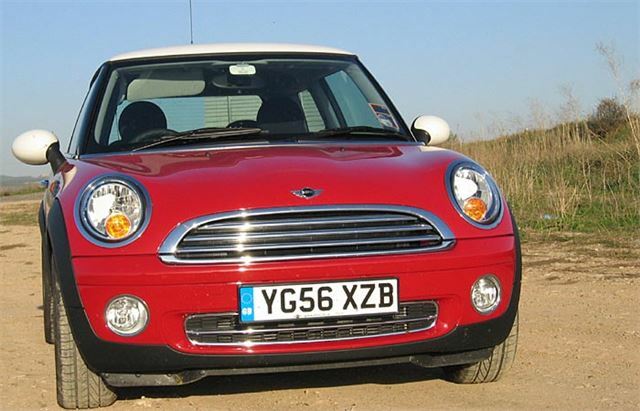 It was very refined, like no MINI ever has been before, and an excellent Motorway cruiser. It had very good ride quality; enough to shame an SLK, a 350Z or the new Audi TT. The seats were very comfortable. But the handling was as much like a go-kart as Del Boy’s Reliant van. To me the steering felt no more connected to the road than it does driving an arcade game. It was direct, but didn’t tell me anything. So I could see which way I was going through the windscreen but couldn't feel what any of the wheels are doing. Added to that our car was twitchy and unstable under braking on the straight bits before the corners. The only way I could keep it under proper control was to brace my left hand against the steering wheel with my knee. Pressing the ‘sport’ button in front of the gearlever sharpened it up, but stiffened it, and that emphasised the deficiencies even more. True we had been knocking on a bit. The Cooper S turbo is fairly quick with a 0-60 under 7 seconds and a top end of 140. We saw 130 several times and found ourselves cruising at 110 in places where 100 would have been fast. But it was work, not fun. And that worried Herr Radibojevic. I suggested it might have been a quirk of that particular car. A bad set of tyres, and a faulty brake compensator valve, for example. 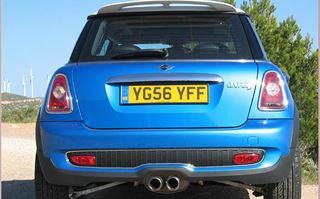 Because others had been having bundles of fun in Cooper S turbos on 16” wheels. The thing is, you can order a MINI Cooper on 15”, 16” or 17” wheels and standard or ‘sports’ suspension. Or you can order the Cooper S on 16” or 17” wheels with or without sports suspension and with the option to delete sports suspension if you go for the Chili pack. So we tried a non-turbo Cooper on 16” wheels with sports suspension and it was fine. Not quite as much fun as the original MINI Cooper, but a natural, refined successor to it that will find more friends than enemies. 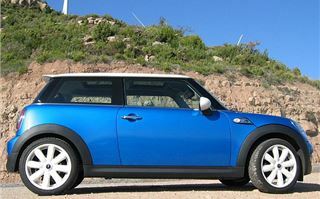 I also drove a MINI Cooper on 15” wheels with standard suspension. Less grip. More understeer. But a good little car with handling nearly as sweet as a base model Peugeot 207. To round it off I even drove another Cooper S on 17s and that was vastly better than the Cooper S we’d had earlier. 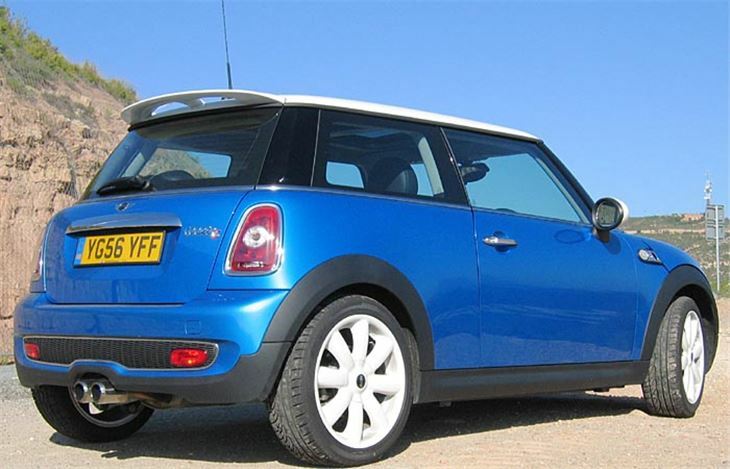 So when you order your MINI Cooper or Cooper S, I’d suggest you go for either 16” wheels and sport suspension or 17” wheels and non sport suspension, but not full-house 17s with sport because you might be very disappointed. Other features of the car all work fine. I reckon it’s better looking than its predecessor, and just as cheeky. It’s a bit roomier inside with more leg-space for rear passengers and a bigger boot. BMW has gone back to the central speedometer and made that huge so everyone in the car and can see what speed you’re doing. 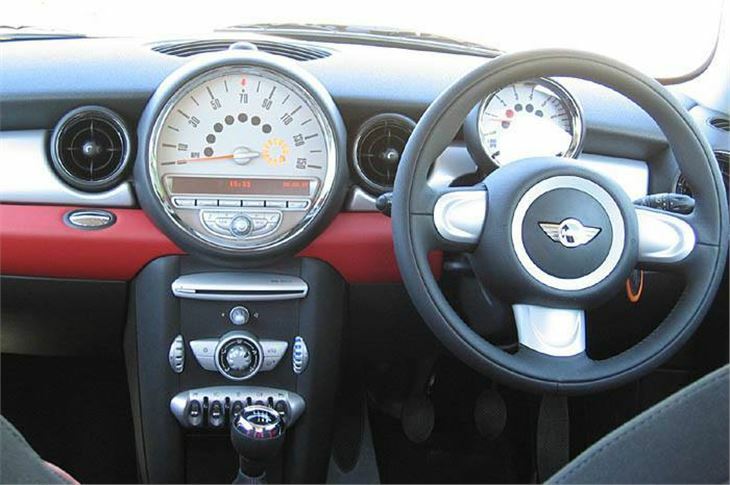 The steering wheel adjusts in and out as well as up and down, and takes the rev counter with it. There are thoughtful touches like a side sunvisor for the driver. Some great new colours including an ochre yellow. The new engines are both more fuel-efficient and emit less CO2, dropping them two places in the VED bands. 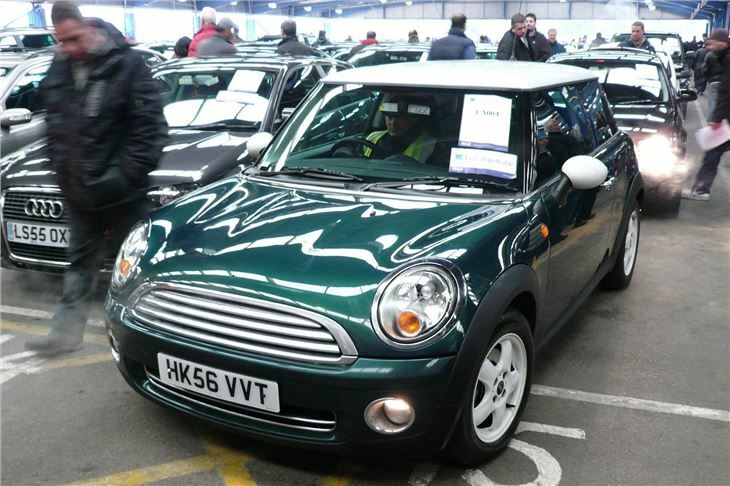 So a new MINI Cooper owner can park in Richmond for £90 a year instead of £130. And you can still buy a five-year servicing package for £150, which 95% of MINI buyers do. 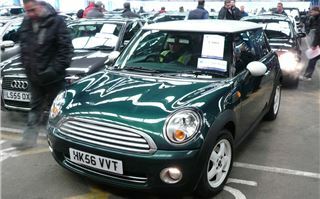 Remember, however, that the must-have aircon isn’t standard, even on the Cooper S. It’s an extra £660. 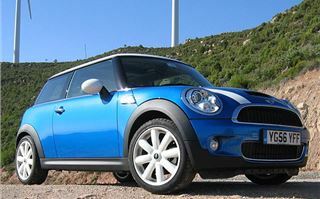 And if you go for the Chili Pack, on the Cooper S that brings with it 17” wheels which you may not want. As before you need to spec your car up very carefully from the options list and that can bump up the price substantially. The hugely improved ride and refinement will make the new MINI an even hotter seller than the old one and will hang onto its value in exactly the same way. But if you want “kart-like handling” and “wheel-at-each-corner control”, choose your wheels, tyres and suspension settings very carefully.